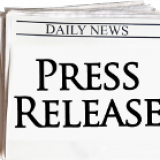 This category represents Press Releases relevant to the Payment & Commerce Industry. Hard Questions: Where Do We Draw The Line on Free Expression? Guest Post: How Should Facebook and Other Companies Protect Privacy While Letting People Share Their Information Between Apps and Services? Hard Questions: How Should Facebook and Other Companies Protect Privacy While Letting People Share Their Information Between Apps and Services? Are You Ready for the Era of the Connected Customer?